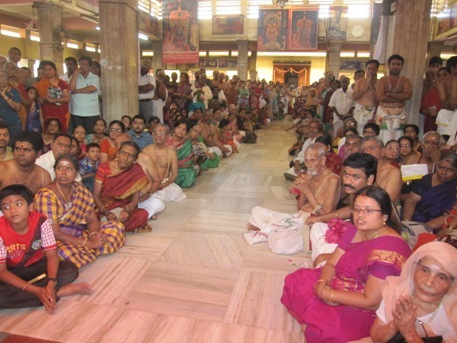 The Aradhana of the 66th Acharya of Shri Kanchi Kamakoti Peetham His Holiness Pujyasri Chandrasekharendra Saraswati VI Shankaracharya Swamiji was performed on Magha Krishna Ashtami- 22 February 2014 in the presence of HH Pujyasri Jayendra Saraswathi Shankaracharya Swamiji & Pujyasri Shankara Vijayendra Saraswathi Shankaracharya Swamiji. 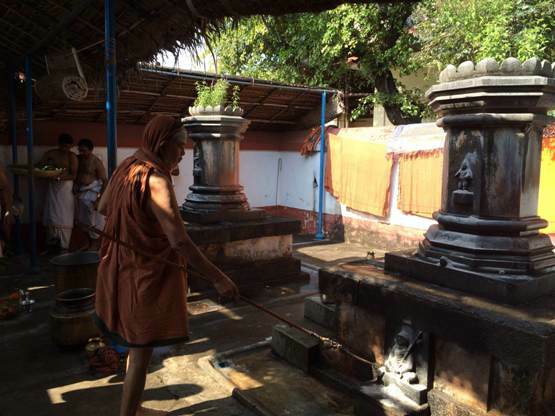 The 66th Acharya was born in Udayambakkam Village in Chengelpet District in Tamilnadu. 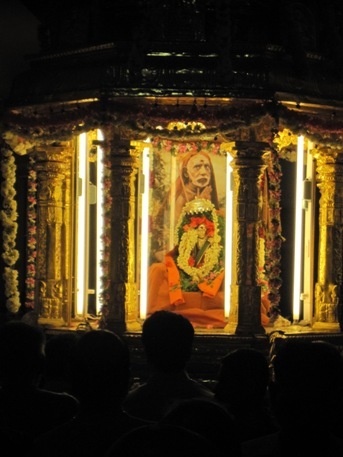 He established the Advaita Sabha for the preservation and encouragement of the studies of Advaita Vedanta Shastra. 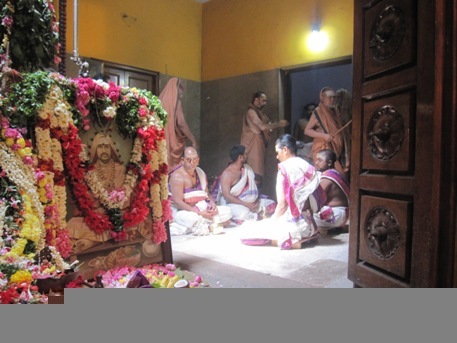 He attained mukti at Kalavai in Arcot district in the year 1907 . 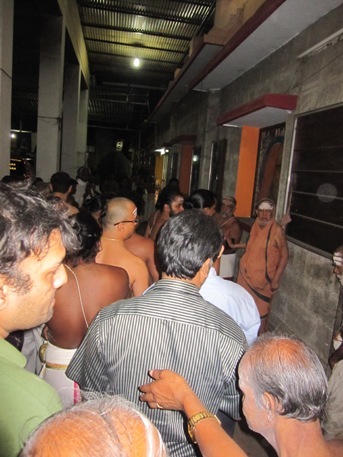 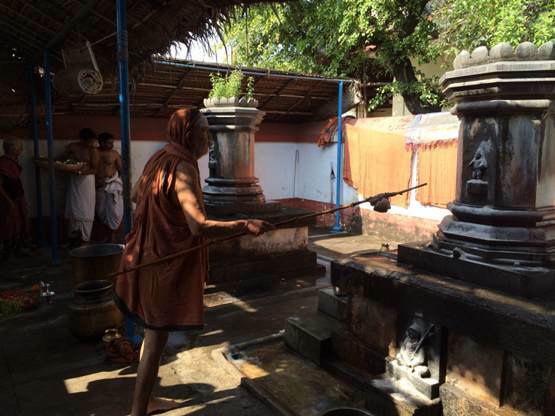 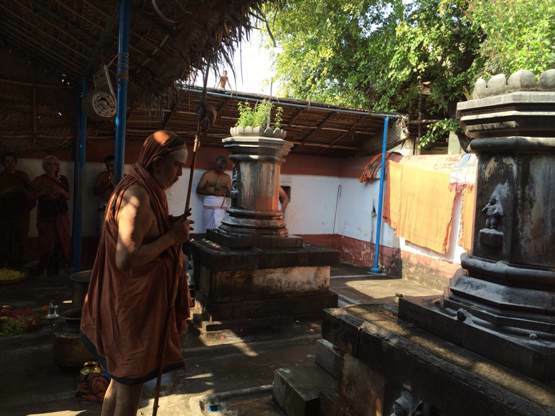 His Holiness Pujyasri Jayendra Saraswathi Shankaracharya Swamiji visited the Adhistanam of the Acharya in Kalavai and performed Pujas. 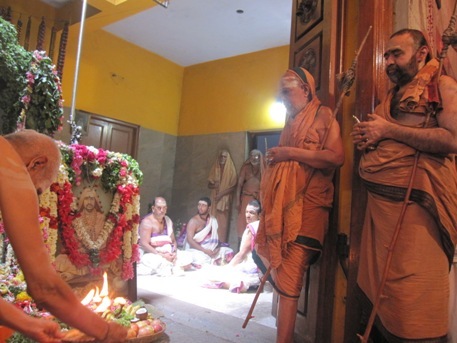 In the evening, His Holiness Pujyasri Jayendra Saraswathi Shankaracharya Swamiji led the Swarna Ratham (Golden Chariot) of Pujyasri Mahaswamiji around Pujyasri Mahaswamiji's adhistanam at Srimatam, Kanchipuram on the Anusham day.